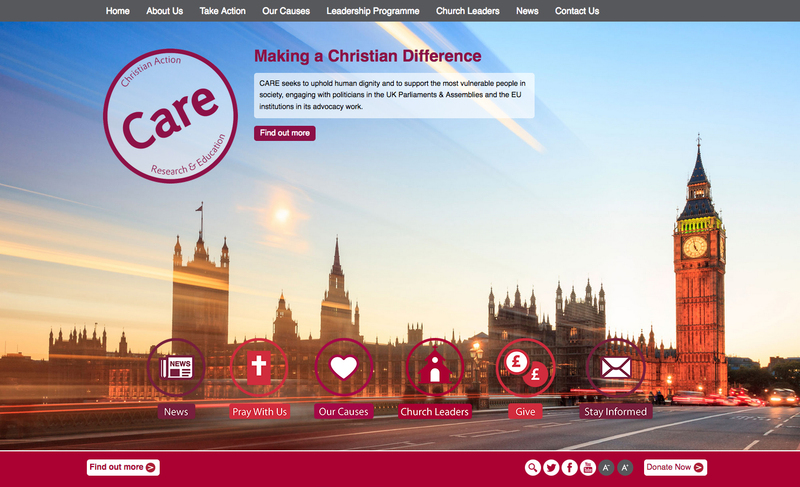 CARE (Christian Action Research and Education) seeks to uphold human dignity and support the most vulnerable people within society, engaging with politicians in the UK Parliaments and Assemblies in its advocacy work. 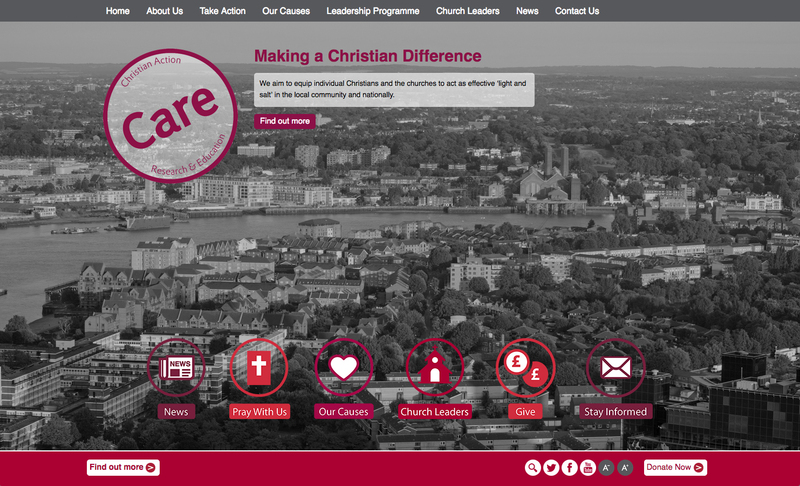 CARE approached Yeomans, having identified that its supporters were struggling to use the existing website and find the content they were seeking. 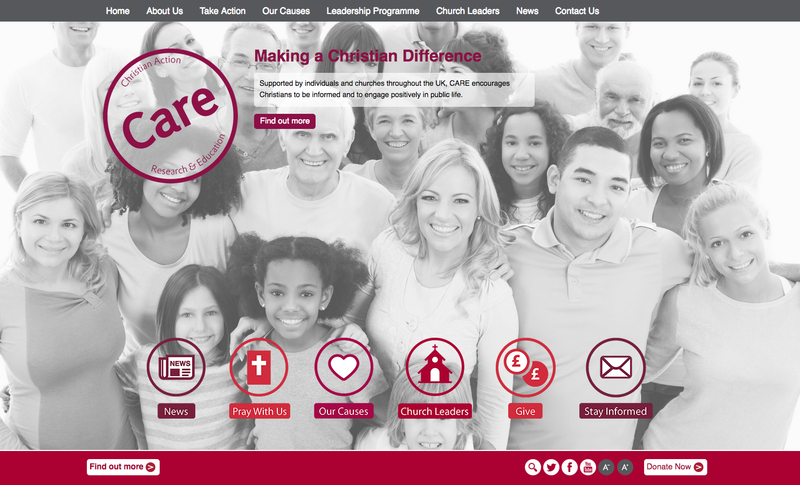 It needed to become “issue-led” (like CARE’s supporters) and be mobile-friendly too. Working closely with the team at CARE we identified the key issues that the website needed to focus on and established user-journeys throughout the site. Based on this information, we created a mobile optimised website with clear, easy to navigate menus enabling visitors to quickly establish who CARE is, to add their support and to find and access relevant information.